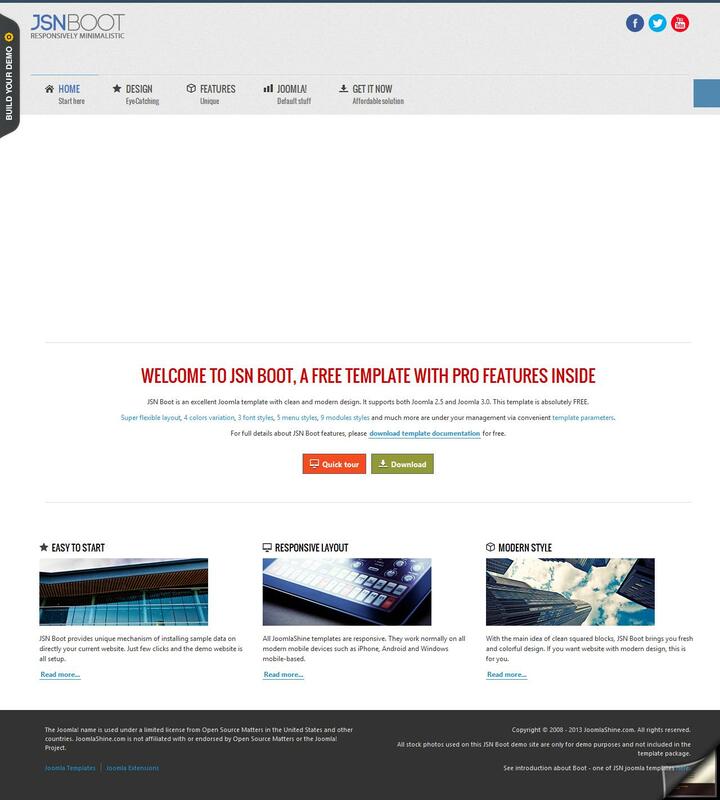 Template JSN Boot tested in practice, has a modern style and performance on Joomla 3. This template includes all the latest software innovations. Its uniqueness and special features will not leave indifferent even the skeptics and seasoned users Joomla. Template JSN Boot has a new stylish design, shown without tables. To work with search engines template equipped clean and optimized code. Any user can easily sort out the settings of this function template. In the settings template JSN Boot also has 4 color schemes (red, black, green, blue) and 5 styles for menu design. Structure template JSN Boot includes 37 module positions, which can be easily changed between them at its discretion. JSN Boot is not only compatible with all popular browsers, but also with mobile and tablet devices.